Saab has agreed to China's Zhejiang Youngman Lotus Automobile Co. taking an equity stake in the company as part of a distribution and manufacturing joint venture. Saab and its owner Spyker Cars NV signed a deal with Chinese car distributor Pang Da in May, worth up to 110 million euros, that involved setting up a joint venture with Spyker and a partner in China to start making Saabs and a new joint brand within two years. Spyker said on Monday it had now signed a memorandum of understanding involving Youngman buying an equity stake in Spyker for 136 million euros ($195 million) and entering the distribution and manufacturing joint venture in China. Under the deal, Youngman will take a 45 percent stake in the manufacturing joint venture in China, Saab 45 percent and Pang Da 10 percent. Youngman will also take a 33 percent stake in the distribution joint venture, with Pang Da holding 34 percent and Saab 33 percent. Youngman will pay 136 million euros at 4.19 per share to take a 29.9 percent stake in Spyker on a fully diluted basis. Pang Da will hold a 24 percent stake in Spyker and will invest a total of 109 million euros in the firm. "Having entered the MOU on May 16 with Pang Da, we collectively immediately set out to identify the most suitable (manufacturing) partner to join Saab and our joint ventures. We are convinced that Youngman represents all the qualities required to make Saab and the joint ventures a success,'' Victor Muller, CEO of Spyker and Saab said Monday. Muller told the Swedish news agency TT that the approval process for the new agreement should take two to three months. Youngman currently has manufacturing alliances with Malaysian automaker Proton Holding and the UK automaker Lotus. The Lotus L5 compact sedan, engineered by the UK company and manufactured at Youngman's Hangzhou plant in Zhejiang province, is the latest product from this joint venture. 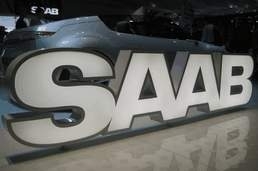 As well as the manufacture of Saab cars in China, the Swedish automaker's deal with Pang Da and Youngman includes development and production of a joint-venture brand for the Chinese market, the details of which ''still have to be determined,'' Saab spokeswoman Gunilla Gustavs told Automotive News Europe. The deal is subject to approval from certain Chinese governmental agencies and third parties, an issue which has halted previously agreed investments from Chinese companies. Beijing follows a strict and price-sensitive policy when it comes to outbound acquisitions which means gaining Chinese clearance could still prove difficult. Failure to secure approval stopped Sichuan Tengzhong Heavy Industrial Machinery's bid for General Motors Co.'s Hummer in 2010. "Spyker needed funding. The fact that they get this amount is positive and the fact that they can do serious business in China is also positive. But for existing shareholders there is quite a bit of dilution," AEK analyst Martin Crum said. "We have to wait to see whether all the government and third parties give their blessing to this. It will not be easy." Saab has been chasing several deals to resolve a cash crunch that halted production for seven weeks earlier this year, and despite the deal announced with Pang Da in May and a resulting 30 million euro payment, production was halted again last week. The company has said it will keep production lines halted this week as it looks to secure an agreement with remaining suppliers and as it as it negotiates more funds. A Swedish paper had earlier reported that Saab will close a deal to sell its factory buildings in Trollhatten, Sweden, this week, providing the firm with about with about 280 million Swedish crowns (77 million euros) in cash. "All pieces of the puzzle are not yet in place, but it looks good and the atmosphere is positive," newspaper Dagens Industri quoted a source as saying on Monday. Saab declined to comment on the timing of a real estate sale, in which it plans to then lease the buildings back, but said it was working hard to bolster its finances and reach agreements with suppliers to restart production soon. "We have 10,000 orders waiting," Gunilla Gustavs said.